While browsing on Pinterest, I came across this fun little craft project by Landee See Landee Do. Her tutorial seemed simple and easy to follow so I gave it a try. Anyone can create this project–just choose your favorite fabrics and get started! TIP: Use solid styrofoam balls instead of the kind with small holes in it. The solid kind will hold the pins better and keep the fabric in place. 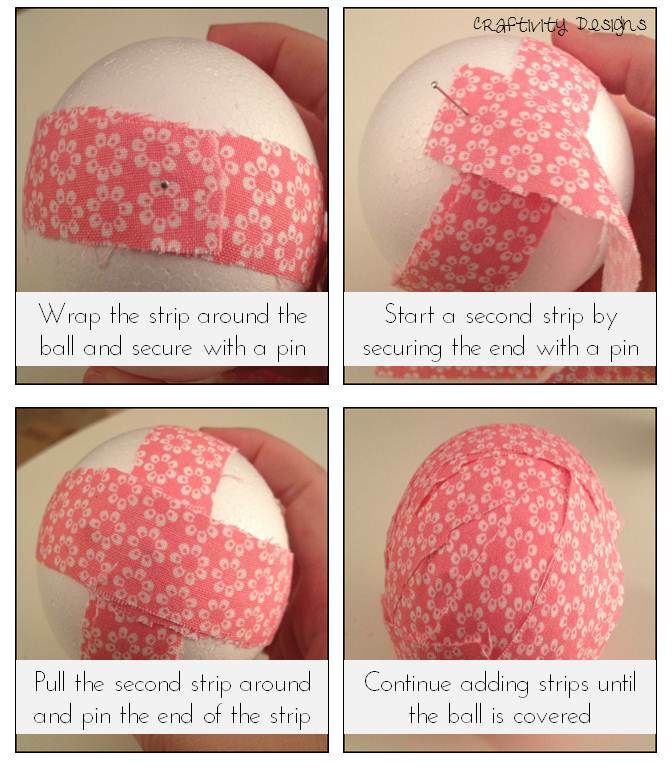 TIP: The fabric strips can be cut in various sizes but it works best if they are no longer than the circumference of the ball and are less than an inch wide. 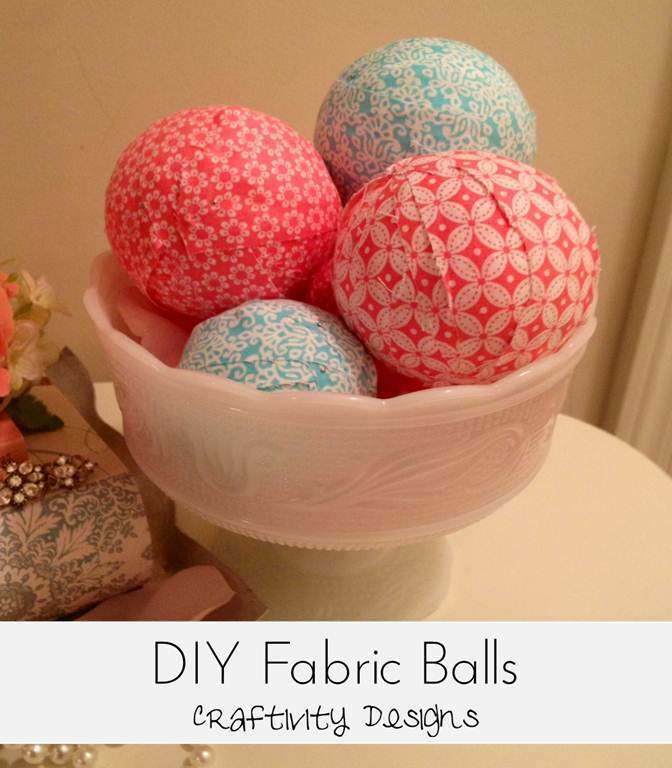 These fabric balls are actually fun and very relaxing to make, you can easily whip up a set while watching your favorite movie! 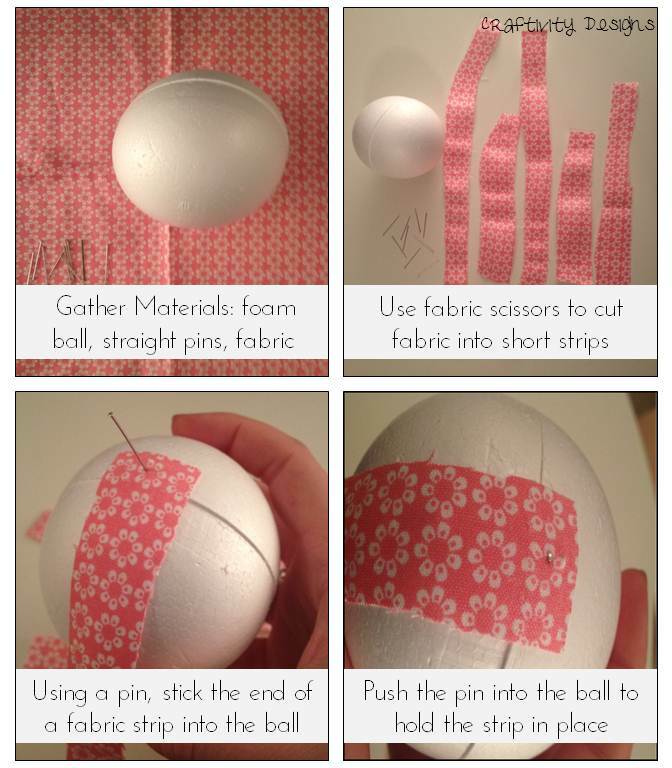 The best part about this project is that you can make it your own by using different fabrics and different size styrofoam balls to create a set that is uniquely yours! 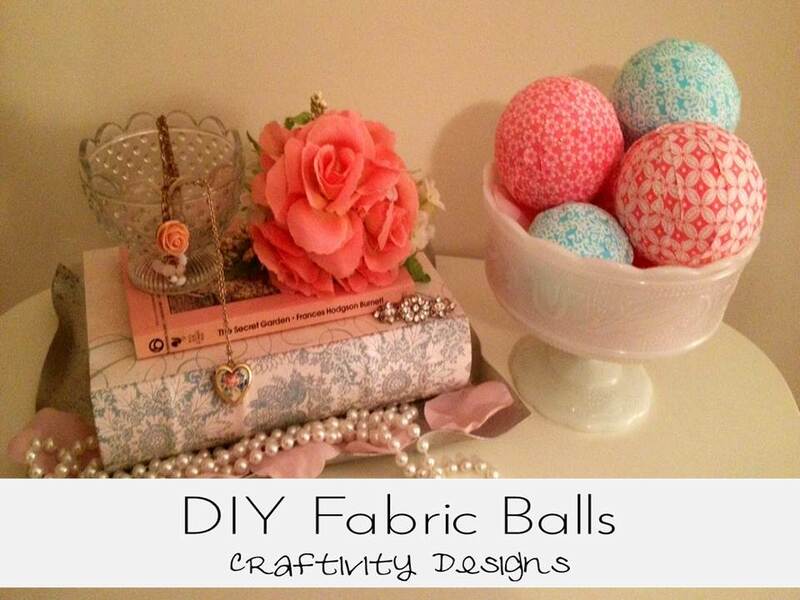 Grab a decorative bowl or vase and display your set of fabric balls! Don’t forget, we’re collecting pictures of completed readers projects for an upcoming reader inspired Kick-Off Friday! If you’ve been working on a project or craft, we’d love for you to send a picture and short description to our e-mail: craftivitydesigns (at) gmail (dot) com. We’re so excited to see what our readers have been busy creating! Have a wonderful Wednesday! Follow us on Facebook, Twitter, Google+, and Pinterest. Subscribe to our blog posts via RSS Feed , Bloglovin’ or Email. © 2012-2015 Craftivity Designs. All Rights Reserved. Kentucky is the place I call home and where my heart belongs. I'm a lover of all things creative and crafty and anything that involves coffee! I love decorating with color and my home is a mix of both girly and modern decor. I am visiting from Lil'Luna! Cute! You used really cute fabrics! Thanks so much! I'm a big fan of colorful fabrics–so fun! Thanks for stopping by Britany! Love those balls you made–so colorful, they turned out great!! Have a great day! Very cute!! Love the colors together! Thanks so much Dana, I will check it out! Have a great night! These are so pretty, ladies! What a great tutorial, too! I'm visiting you today from This Silly Girls Life. I co-host a Linky Party Tuesday (open thru Sat) and I'd love for you to link up! I hope you get a chance to stop by, link up and leave a comment, too! Thanks so much Megin! I linked up! Have a wonderful night! Thanks so much Jenna! Love your linky party it's always full of great ideas! Have a fabulous week! Absolutely adorable. have to give this a try. Cheers for the great tutorial. Thanks Helle!! Have a great day! Beautiful! Came out real nice.. Thanks so much Ingrid! They were a lot of fun to make, you should definitely make some for your living room! Have a wonderful weekend! They look so pretty! You did a wonderful job. Isn't Pinterest the best resource? I have actually got a great masterlist of pinning bloggers over at my blog that you might like to join. The details are all on this week's post. While you are there I'd be thrilled if you could link up this post to my weekly Say G'day Saturday linky party which is on now! Thanks so much Natasha! I do love Pinterest and I will definitely check out your blog and linky party. Have a wonderful weekend! Thanks for hosting Cathy! I'll check it out next week! Have a wonderful day! Hello! Stopping by from Create & Inspire party. 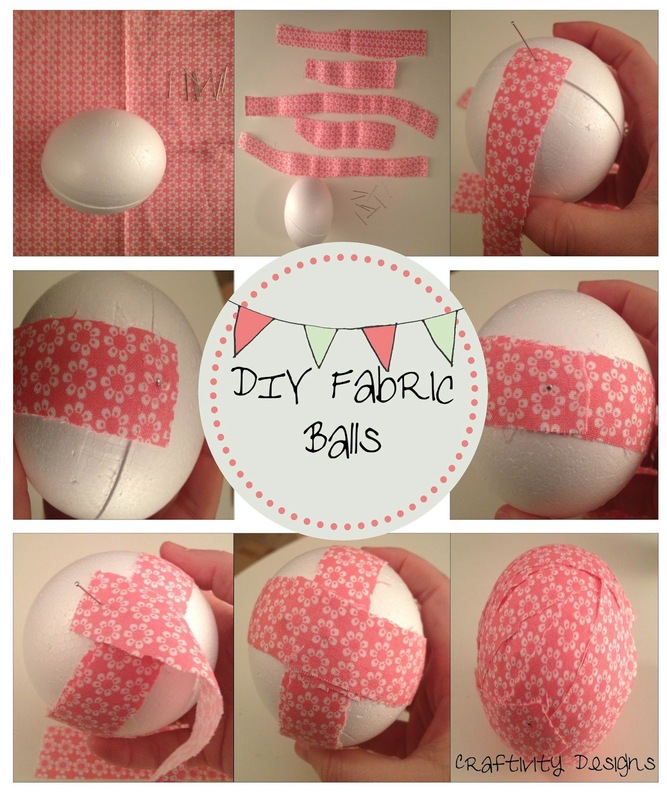 Love the fabric balls. So bright and cheery. Great idea. Be sure to come by and share your great works with us BeBetsy Link and Hop! Thanks so much ladies, I will definitely check it out! Have a great day! Super cute! Love the idea!Thanks so much for sharing the great tutorial! Would love to have you visit me sometime. Thanks so much Ana! Your blog is cute, love your sewing projects! Have a wonderful day! Thanks so much Leah, I'll check it out! Have a great week! These are beautiful and I love the fabric that you chose! Thanks for sharing with us this week at Monday Funday! Thanks Danielle, have a great day! Thanks so much Trish, they were a lot of fun to make! You were FEATURED on the BRAG ABOUT IT Link and Hop–congrats! See the post here: http://bit.ly/10MK99D. Don’t forget to grab a ‘I Was Featured’ button: http://bit.ly/11S2wN1. The BRAG ABOUT IT Tuesday party starts at midnight tonight and runs through next Saturday – hope to see you there! Tell your friends! Thanks so much Ladies! So excited to be featured! Have a wonderful day! These decorative balls are adorable. I really love this craft. I find this very interesting and easy to make. Pastels I think would make great colors for the summer. These are indeed a product of creativity. Thanks so much Vivian! I think pastels would look beautiful! Have a great night!